The Eurasian Badger is a familiar animal in Britain. Powerfully built and a strong digger, its facial pattern of black and white stripes is well known, though its coat also contains brown and grey tones. 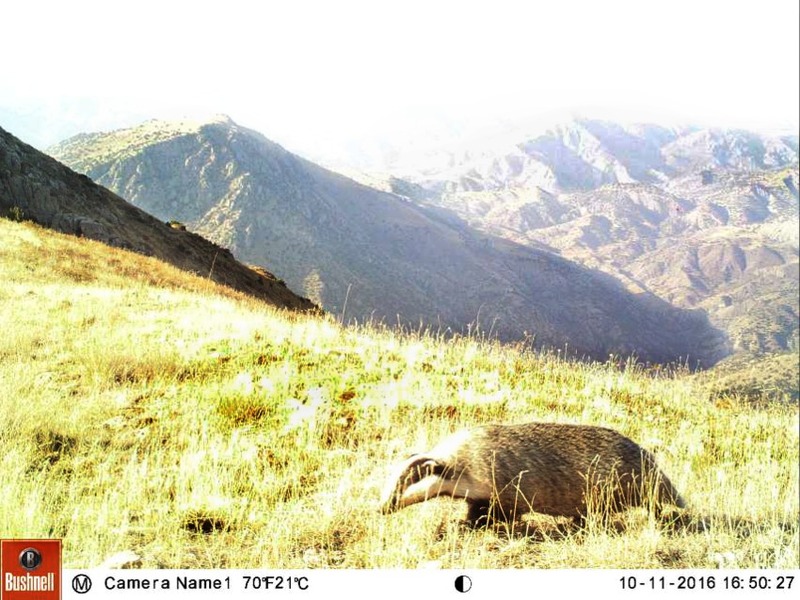 At the end of summer, Eurasian Badgers may weigh up to 17 kg, but in spring after a long period of winter inactivity this may drop as low as 7 to 13kg. Badgers live in family “clans” of up to 12 individuals and often play which helps to strengthen their social bonds. They are nocturnal and emerge from their setts at dusk. These burrows may be in use for decades at a time and are complex, with multiple entrances and networks of passages and chambers. They may be used by several family groups at once. Unsurprisingly for such excellent diggers, their diet contains a large number of earthworms. They also eat bulbs, acorns, fruit, nuts, cereal crops, insects, birds’ eggs, carrion, and live vertebrate prey such as hedgehogs, moles, and rabbits. 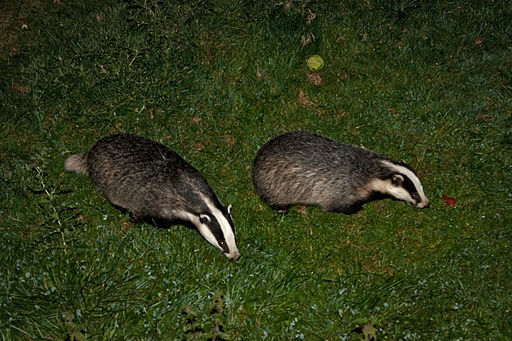 In areas with harsh climates, badgers sleep during the winter, while in milder areas such as the UK their activity levels decrease sharply. In the UK, Eurasian Badgers prefer deciduous woods with clearings or open pasture but are also found in urban and suburban areas. However, they are capable of adapting to a wide range of habitats as shown by their wide distribution reaching from Finland to Israel. They are also found in the Caucasus, and have been recorded there at elevations up to 2,500 metres. Though badgers are not considered endangered numbers have been depleted. They are protected under various wildlife acts and UK law states that it is an offense to kill, injure or capture a badger, or to interfere with its sett. Its decline in some agricultural areas has been attributed to land-use changes causing a loss of and fragmentation of suitable habitat. Road traffic accidents are a major cause of death. In the UK the species is associated with bovine TB but this is still under investigation and debate. In Finland, the species is widely hunted.